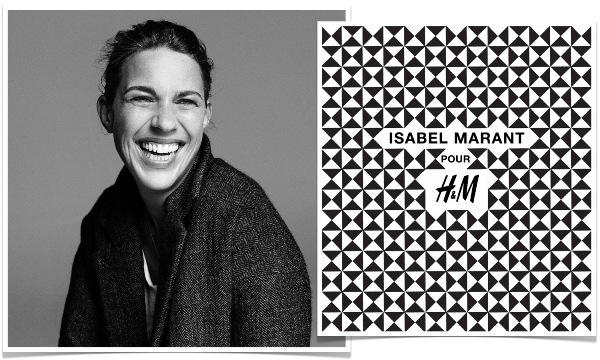 Only one mood: "Paris, c'est chic"
The new H&M capsule collection will be signed by the French stylist Isabel Marant. A very chic collection fully reflecting the Parisian designer's urban boho chic style. It includes many clothes and children and for the first time the collection includes the menswear too. Un solo mood su tutti: "Paris, c'est chic!" La nuova capsule collection di H&M porterà la firma della stilista francese Isabel Marant. Una collezione decisamente chic, che rispecchierà in pieno i canoni dello stile urbano boho rock della stilista francese. Ci saranno capi ed accessori donna e junior, e per la prima volta anche il menswear. The capsule collection will be available in about 250 H&M stores worldwide and online on November 2014. La capsule collection sarà nei negozi H&M, circa 250 sparsi nel mondo, a partire dal 14 Novembre; la potrete trovare anche online. You just have to get in line! Non vi resta che mettervi in fila! This is going to be one exciting and inspiring collaboration, I can imagine the queues outside H&M stores when it releases.Thanks for your great comment on my last post! Happy Friday! the collection must be stunning - can not wait ;)! !